ONE POSITION AS POST DOCTORAL FELLOW (SKO 1352) in Neuroscience is available for three years in the Synaptic Neurochemistry Laboratory at Department of Anatomy, IMB, University of Oslo (UiO) funded by the Research Council of Norway. The Institute of Basic Medical Sciences consists of departments and units that pursue research and education within basic medical science. The institute has approximately 300 employees and is located in the Domus Medica. Visit Official Website. The postdoctoral fellow will work on a project investigating cellular changes and molecular mechanisms underlying neurodegenerative diseases. The Laboratory studies basic aspects of brain signaling and metabolism and their importance for development of brain diseases. The successful candidate should have experience with research on several aspects of genome instability and neurologic diseases together with knowledge on mitochondrial function and basic mechanisms. She/he should have excellent skills with the use of designing mouse models that allows inducing mitochondrial DNA toxicity in forebrain structures including preparation of substrate for oligonucleotide nicking assay. The postdoc fellow is expected to participate in the supervision of PhD students and she/he should have some experience with supervision and organizing laboratory work. The fellowship period is 3 years. No one can be appointed for more than one specified period at the same institution. In assessing the applications, special emphasis will be placed on the quality of the project description and on the assumed academic and personal ability on the part of the candidates to complete the project within the given time frame. Personal suitability and co-operation skills will receive special attention in the selection process. Applicants may be called in for an interview. Guidelines for appointments to post-doctoral research fellowships at the University of Oslo may be obtained at Official Website. The University of Oslo has a goal of recruiting more women in academic positions. Women are encouraged to apply. 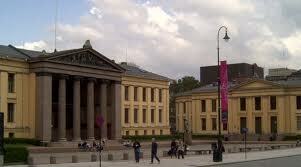 The University of Oslo also has a goal of recruiting ethnic minorities to Norway in academic positions. Ethnic minorities are encouraged to apply. Send Application : Official Website. Demikianlah informasi Post doctoral fellow in Neuroscience at Institute of Basic Medical Science kami sampaikan, semoga bermanfaat.